In complex mechanical systems, it is often very difficult to accurately measure the movement of a single part, particularly if it has several degrees of freedom. 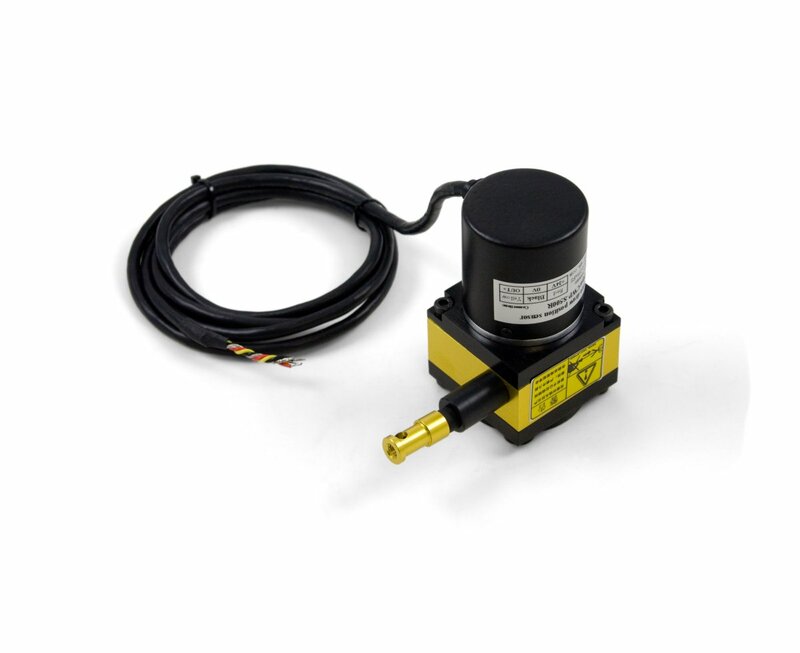 The draw wire potentiometer is a versatile solution to this very problem; it can be attached to a part using an M5 screw or fastened to the end with a zip tie, and the potentiometer itself has a pair of M5 screw threads on the back for easy installation. When the wire is pulled out, the sensor produces a voltage to describe the length of wire exposed. The reel is spring loaded, so it will retract when there is no tension in the wire. Multiple draw wire sensors could be used to track the position in more than one dimension. 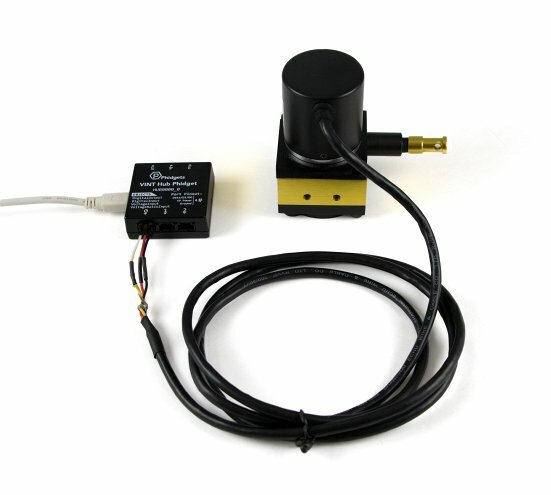 This sensor can be used with any device with an analog input. Simply cut and connect a 3-wire Phidget cable as described in the Phidget Cable section on the Connection & Compatibility tab. To easily connect this potentiometer to a Phidget we recommend you use a Phidget cable. Just snip off the connector from one end of the Phidget cable, strip the ends of the wires and solder them to the wires as described in this table. You can solder multiple cables together in order to make even longer Phidget cables, but you should be aware of the effects of having long wires in your system. This potentiometer can be read by any Phidget with an Analog Input or VINT Hub port. It will connect to either one using a Phidget cable; see the diagram in the Phidget Cables section below for wiring instructions. VINT Hub ports can behave just like Analog Inputs, but have the added flexibility of being able to be used as digital inputs, digital outputs, or ports to communicate with VINT devices. For more information about VINT, see the VINT Primer.